On Sunday, the Bhoys will be aiming to make it four-in-a-row against the Rangers at Celtic Park and extend their run to twenty-three games without loss in the SPFL this season. A win on Sunday would put Celtic 36 points clear of our opponents and make it mathematically impossible for them to catch us at the top of the table this season. Positive news for Celtic ahead of the game is that James Forrest has recovered from injury more rapidly than expected and is available for selection. Another of the younger Bhoys looking forward to the game is Moussa Dembele, who was this week deservedly awarded the SPFL Player of the Month Award for February. Having scored his first ever hat-trick in competitive football in the 5-1 victory in the corresponding match in the first half of the season, he will be looking forward to maintaining his recent excellent form and adding to his impressive goal tally on Sunday. However, the Celtic camp is taking nothing for granted ahead of the game. ‘Keeper Craig Gordon, who this week signed an extension to his Celtic contract, sounds a note of caution. “We have to play and do the things we are good at, and we will have to defend as well”, he emphasises. . He observes that “we know they create a bit of a threat on the break and they have good players, that have good quality and good experience”. He continues that “we know we are in for a tough game - we have to concentrate on ourselves and make sure we are doing the things we do well”. He concludes “if we do that we give ourselves a really good chance to win the game". Indeed, these games can never be taken for granted but, with the Paradise faithful behind them, we look to the Bhoys to continue on their winning ways and send the visitors packing. This weekend, Celts everywhere are remembering Lisbon Lion, Tommy Gemmell, who passed away on Thursday. It is how part of Celtic history that Tommy Gemmell scored the first goal in Celtic’s European Cup final win over Inter Milan, thereby breaking the then infamous “catenaccio” and setting the Lions on the path to victory. Over the years, Tommy was a loyal friend to Celtic supporters everywhere and was personally known to some of our members. He will be remembered at Celtic Park on Sunday and we pay tribute to him. Tommy was part of a Celtic team that achieved the rare feat of achieving the domestic treble of League, Scottish Cup and Scottish League Cup. On Sunday, St. Mirren are the visitors to Celtic Park as Brendan Rodgers’ Bhoys continue their campaign for a treble of their own. At this stage of the competition, a home tie is always welcome. And after their mid-week thrashing of Inverness CT 4-0 in the Highlands, the Bhoys go into the game in confident mood. However, as always, manager Brendan Rodgers is taking nothing for granted, commenting that St. Mirren “have had a couple of good results of late, beating Hibs during the week, they will come on Sunday and look to give their all”. Nonetheless, it will be a significant shock if Celtic are not in the draw for the semi-finals. Celtic travel to the Highlands on Wednesday evening to take on Caley Thistle with the aim of making it 27-in-a-row and keeping their unbeaten domestic run this season going. Caley Thistle have pulled off more than one upset against Celtic over the years and so far this season, they are the only team to take a point off the Bhoys, with the corresponding game in the first half of the season having ended in a 2-2 draw. Although Inverness are currently languishing in the relegation zone, they beat the Rangers and drew with Hearts in their last two matches. Buoyed up by that recent form, they will fancy their chances of pulling off an upset and ending their visitors unbeaten run. So the Bhoys will need to braced for their trip north. According to Danish Bhoy Eric Sviatchenko, the points dropped at Inverness in September will be a spur to Celtic on Wednesday night. ”It will be a motivation because we want to succeed and we want to win”, he says. He observes that “sometimes, in some games, you will lose points - that's football - but it hasn't been like that lately”. He concludes that 'it's obviously a place we want to win at and we will do everything we can to see if we can get the three points because we always need to be the team that needs to win”. Ahead of the Scottish Cup quarter-final against St. Mirren on Sunday, Brendan Rodgers is expected to rotate the squad. Gary Mackay-Steven, who came on as a substitute for James Forrest in the 2-0 victory over Hamilton on Saturday, is expected to start on the right wing. Jozo Simunovic, who suffered a hamstring pull shortly before the Accies game, is doubtful for the trip to the Highlands. Patrick Roberts will be absent again as he recovers from a recent hamstring injury, Leigh Griffiths, having come on in the latter stages of Saturday's 2-0 victrory over Hamilton following recent calf problems, will be in the squad while Mikael Lustig may replace Cristian Gamboa at right-back after the Sweden international was rested for the Hamilton clash. This week, Brendan Rodgers has referred to his Bhoys’ “superhuman efforts” this season and more of the same will be called for to make certain of three points on Wednesday night! Quite an achievement it was for Brendan Rodgers’ Bhoys last Sunday when they set a new Celtic record by going 27-in-a-row unbeaten in domestic competition. After the 1-0 victory over Aberdeen in midweek, they head to McDiarmid Park on Sunday seeking to make it 29-in-a-row against St. Johnstone. Indeed the Saints were the last team to beat Celtic in domestic competition, back in May 2016, which already seems like another era. However, for the Bhoys, it is winning titles more than setting records that is important. Looking ahead to Sunday’s trip north, Celtic assistant manager Chris Davies says that “the motivation to be at a club like this, to play, to perform, is what we focus on - we try to work hard every day and be the best that we can be”. He acknowledges that "winning the title as quickly as possible would be great, but it is not something we think about or focus on”. He summarises the Celtic ethic these days as follows "It is just, 'Win the next game'”. And in this regard, he observes that “it will be a very tough game at the weekend". So good news for Celtic at this stage of the season is that the squad will be strengthened by the return after injury of Moussa Dembele, Leigh Griffiths, Stuart Armstrong and Tom Rogic. Come Sunday, its’ got to be 29-in-a-row for Celtic and not two in a row for our opponents! It’s going to be a special occasion at Paradise on Sunday as Brendan Rodgers’ Bhoys seek to make a bit of history by avoiding defeat against Hearts. Their 1-0 victory over St. Johnstone at Celtic Park on Wednesday night meant that the Bhoys equalled the record of the Lisbon Lions in the 1966-67 season of going 26 domestic games unbeaten. So, on Sunday, this generation of Bhoys has the opportunity to enter the record books by making it 27-in-a-row without defeat. Celtic captain Scott Brown, who set his own landmark on Wednesday with his 400th appearance for the club, is excited by the prospect ahead. “For us, it’s been a fantastic season”, says Broonie. “To be touching a record that’s not been done for 50 years shows how well we have been doing this season”, he asserts proudly. And he believes that there is more to come this season, adding that “hopefully there are a lot more games for us to continue playing the way we have been”. At the same time, his feet are very much on the ground ahead of Sunday’s visit of the Jammers, insisting that “we need to go into the game focused”. He acknowledges that “Hearts had a hard game against Raith Rovers that went into extra-time so hopefully our fresh legs can push us on”. At the same time, he emphasises that “we need to start well and the crowd will be behind us as they always are at Celtic Park”. It’s not often that there is a reason to celebrate on the football field in January so we look forward to the Bhoys breaking a very special record on Sunday! Following the winter break, it’s straight into Cup action for the Bhoys as they travel to Lanarkshire to take on Albion Rovers at the Excelsior Stadium in Airdrie on Sunday. While there are still many games to be played, with the League Cup already in the Paradise trophy cabinet and a nineteen point cushion at the top of the SPFL, thoughts inevitably turn to a possible treble. And that is the incentive for the Bhoys as they travel to take on lower league opposition who have not beaten Celtic in any competition since 1935. Indeed, Celtic have not played a competitive match against Sunday’s opponents in more than forty years. Albion currently lie in seventh position in League One, four points outside the promotion shake-up. So, on Sunday, they will have nothing to lose. Postive news for Celtic, therefore, is that the winter break has allowed Kieran Tierney, Tom Rogic and Leigh Griffiths, all of whom have been out injured recently, to recover fitness. So all three are available. Celtic manager, Brendan Rodgers, is certainly not taking this game lightly and this week he gave some insight into why his Celtic side is proving unbeatable on the domestic front. “Every game is studied to the umpteenth degree”, he explains, emphasising that “the minute you don’t, is when you have an issue, you become loose and soft and that’s when you suffer”. Looking ahead to Albion, he says that “the minute we knew they were our next opponents we afforded them the same respect as Barcelona, Manchester City and Borussia Monchengladbach”. Brendan confirms that “we’ve looked at all the details this week - they’re well organised, play a 4-2-3-1, they’re quite direct and play off a second ball”. And his conclusion is that “it’s another game we must ensure we approach with the same level of concentration as the others we’ve played”. He concludes by insisting that “no matter the league in which they play, we must concentrate”. After a three week lay-off during the winter break, the Bhoys will indeed need to be psychologically up for the challenge on Sunday. All being well, the opportunity for further Cup glory will drive the Bhoys on to victory. “I’m not being disrespectful but I don’t actually believe they’ll go through an entire domestic campaign without losing. They may not even make it to the end of the calender (sic) year.” If Brendan Rodgers and the Bhoys needed any additional incentive ahead of the trip to Ibrox for the Hogmanay fixture against the Rangers, this extract from an article in the Daily Record by a nobody called Barry Ferguson will certainly have provided it (and the *** cannot even spell properly). So let’s look at the facts. The Rangers are currently on a three match unbeaten run in the SPFL and their fans are ecstatic. And so they should be – this is the first time for four seasons that they have managed such a run. Celtic are unbeaten in 21 domestic matches since the start of the season – but that is the kind of form we expect from the Bhoys. While our opponents recent mini-run has moved them up to second in the table, Celtic remain 14 points ahead at the top with a game in hand. So we look ahead to the clash on New Year’s Eve with anticipation, acknowledging that there’s a job to be done and confident it will be completed successfully. Celtic skipper Scott Brown sums up the situation as he sees it saying “everyone in that dressing room is enjoying football and enjoying training: there's competitiveness throughout the dressing room and I think that's what is pushing us on”. Broonie emphasises that "it's a good place to be just now, there's great spirit, the fans are behind us, whether it's home, away or Champions League or in the league so that's the main thing”. He concludes that "the consistency has shown in the results and hopefully we will have a lot more coming”. Good news for the Bhoys heading into the Ibrox match is that James Forrest has recovered from his hamstring injury and is back in the squad. There may be expectations on the other side of Glasgow of a happy Hogmanay but I confidently predict that the Rangers’ run of victories will not even make it to the end of calendar year! And, in the meantime, a very Hoopy Christmas to Brussels CSC members, their families and their friends. Just three days after bringing their Champions’ League campaign to an end with a fighting draw at Manchester City, the Bhoys turn their attention to domestic business again and the Glasgow derby against Partick Thistle at Firhill. With the Jags having taken just one point in their last four games and now finding themselves in the relegation zone, they will be looking to the occasion to create some new momentum. However, the Bhoys have shown this season that they are able to pick things up on the domestic front immediately after returning from European action. Not having lost against Partick since 1994, they will be confident of keeping up their strong run in the SPFL and staying well ahead of the pack as we head into the festive season games. Celtic will be without James Forrest, who went off injured against Manchester City. While Scott Sinclair and Kieran Tierney remain on the longer-term injured list. However, Brendan Rodgers will see this as an opportunity to rotate his squad. Come late Friday evening, we look forward to the Bhoys having all the bragging rights in Glasgow! Celtic’s European season comes to a close on Tuesday evening when they travel to the Etihad Stadium to take on Manchester City in the last round of matches in the group stage of this season’s Champions’ League. Although Celtic cannot qualify out of their group now, results all have an impact on the club’s coefficient for future seasons and with European money available for points won and goals scored, a Champions’ League game is never without significance. With our opponents already certain to finish second in the Group, they have nothing specific to play for either and Pep Guardiola has indicated that he will rotate his squad. In principle, this could provide the Bhoys with an opportunity to spring a surprise against the home side. At the same time, the facts highlight the scale of the challenge Celtic face. Manchester City are unbeaten in their past seven Champions League home games, their longest run without a defeat in the competition at the Etihad. On Tuesday, they will be aiming to win all three of their home games in a Champions League group stage for the first time. Moreover, City have also only conceded one goal in their five Champions League home games in 2016 - and that was scored by Messi. Good news for Brendan Rodgers ahead of the trip to Manchester is that Erik Sviatchenko and Leigh Griffiths should be available again after missing the 4-3 victory over Motherwell at the weekend through illness. ​C’MON THE BHOYS IN EUROPE! It may only be mid-November, but already the Bhoys have the opportunity to pick up the first silverware of the Brendan Rodgers era when they travel to Hampden on Sunday to take on Aberdeen in the Scottish League Cup final. Given Celtic’s recent patchy record at Hampden, nothing can be taken for granted. Moreover, Aberdeen are our nearest challengers at the top of the table, as they have been for the past couple of seasons. While the Bhoys have won the two league meetings between the sides this season, the most recent game at Pittodrie was a close, gritty encounter, which Celtic edged 1-0. There may also be some tired legs in the Celtic camp following the mid-week clash with Barcelona. In that regard, the biggest doubt following Wednesday night’s game is Scott Sinclair, who went off at half-time with a hamstring strain. While Brendan Rodgers is giving him until the last minute to prove his fitness, his availability must be rated doubtful. Better news is that Leigh Griffiths is back training and in contention for consideration for Sunday. Bhoy of the moment, Moussa Dembele, is looking forward to Sunday’s occasion, while maintaining a strong focus on the job to be done. “I came to Celtic to win trophies and to be in a Final is like a dream - it is my first, so I’ll never forget it, for sure”, he says. And he maintains that “Celtic should be winning trophies and it’d be something great, but we have yet to win it”. So he concludes that “I won’t talk about winning until it’s done so we will speak again on Sunday at 4.45pm and see what’s happening”. We all hope that there will be plenty to talk about and celebrate come Sunday evening – 5.45 p.m. Brussels time! Celtic go into the last two matches of the Champions’ League group stage knowing that they must win one of the remaining fixtures to have any chance of playing European football after Christmas. And given that the last two games are against Barcelona and Manchester City, that is a tall order. So, looking ahead to the visit of Barca, the question is whether lightning can strike twice. When the two sides met in the Champions’ League in 2012, Barcelona came to Celtic Park as hot favourites but Celtic pulled off a historic upset victory. The difference is that on that occasion, Celtic had already put in a hard-fought performance in the away match in the group at the Nou Camp. This had given the Catalans something to think about ahead of the match at Celtic Park. Unfortunately, the same cannot be said about Celtic’s performance at the Nou Camp this season. At the same time, the Bhoys showed against Manchester City that at Celtic Park they can put it up to any opposition. And with Brendan Rodgers now having a clearer view of what he can expect from his players, we can be certain that they will be up for the battle on Wednesday. Ahead of the game, the manager has made his thinking clear. “If you look at the performances this season where we haven’t been quite at our level, it’s when we have been defensively-minded, and sometimes that naturally happens”, he says. He stresses that “my concepts and ideas are based around being offensive, both with the ball and being aggressive and offensive when we are defending – defending forward”. He continues that “Manchester City at this level was a great demonstration of that in relation to pressing and being aggressive but also knowing where there were times where we had to defend”. He acknowledges that “for us, the Man City game and Monchengladbach at home we made mistakes, so if we don’t make mistakes and play with that aggression; they will probably have more of the ball than us, that’s the reality of it, so when they do, we have to make it really difficult for them, disrupt the game but know we have the chance to score goals”. Kieran Tierney remains injured and, while his absence has been noticed, Celtic have no new injury concerns ahead of the game. Whatever eleven Brendan Rodgers goes with, it is crucial that, as the manager emphasises, every Bhoy plays at the top of his game, avoiding individual errors and remaining vigilant for the few chances that are likely to come Celtic’s way. After the international break, it’s back to business in the SPFL as Celtic travel to Rugby Park to take on Kilmarnock with the Bhoys aiming to pick up where they left off and continue their march towards the title. On paper, this looks straightforward for Celtic. The Bhoys are unbeaten in their last eleven trips to Rugby Park, scoring an average of three goals per game. However, Killie have recently picked up their form after an indifferent start to the season. They have kept clean sheets in three of their last five games. So Celtic boss, Brendan Rodgers, is taking nothing for granted. He points out that “there's a danger, they're playing at home, they'll want to do well, they've had some good results after our game, it's an artificial pitch which always adds something different”. At the same time, he recognises that the momentum is with his team, saying ”we go into the game looking to restart our league campaign in a positive way”. So he concludes that "it's up to us to create the game and hopefully get the three points." As ever after an international break, it’s a case of assessing the status of players returning from duty with their countries. This time, the focus is on Tom Rogic and Emilio Izaguirre, who have only returned to Celtic Park in the last two days. Their availability is important given the existing injury list. Mikael Lustig is doubtful with an ankle injury that kept him out of the Sweden team while Kolo Tourré and Kieran Tierney have more long-term injury issues. A win would keep the momentum going in the SPFL ahead of the important Champions’ League fixtures coming up and we look to the Bhoys to deliver that. Celtic head to Germany on Tuesday to play Borussia Monchengladbach knowing that they need to take something from the game to have any realistic chance of remaining in Europe after the winter break. With Celtic never having won a game in Germany in European competition, it will be a tough ask on Tuesday night. But Patrick Roberts is one Bhoy who will go into the game in a realistic but optimistic frame of mind. He acknowledges that “Borussia are one of the crack teams of Europe and they showed that against us (in the first match)”. But he points out that “there’s no doubt we didn’t play our best - it was probably the worst we’ve played out of our system this season, but you also have to give the opponent credit”. Looking ahead to Tuesday night’s game he emphasises that “it’s all about self-belief - you have to believe you can win the game before you play it.” He stresses that at Celtic “this team do have a great belief: We have players who can win games but we have to show it on the day - we must play the way we do week in, week out”. Celtic’s task is not made easier by the fact that our opponents, depleted by injury in Glasgow two weeks ago, are expected to be at full-strength on Tuesday night. Striker Raffael is set to return along with Hazard. Defender hristensen is also set to return along with winger Traore. It will be against the odds for Celtic to take anything from this game. But they have shown already this season in Europe that when their backs are to the wall, Brendan Rodgers’ Bhoys can hold strong. It’s first against second as the Bhoys head to Pittodrie in the early kick-off on Saturday aiming to extend their lead at the top of the table over the team that has run them closest in the title race in recent seasons. Celtic go into the match in a rich vein of form, having now won seven domestic games in a row. Although the goals came late in mid-week against Ross County, the 4-0 scoreline testifies to the strength in depth in the Celtic squad, given that Brendan Rodgers made eight changes for the trip to Dingwall. However, the challenge from the Dons is likely to be stiffer, given they go into the game in the knowledge that they have won three of the last five games between the sides at Pittodrie. Following their mid-week defeat at Hamilton, they will also be aware that a Celtic win on Saturday will open a gulf between the clubs at the top of the SPFL that will be very difficult to close, even at this early stage of the season. With one eye to the crunch European tie against Borussia Monchengladbach three days later, the Celtic manager can be expected to rotate his squad again. Captain Scott Brown is likely to return and Leigh Griffiths, who has scored in six goals in his last seven trips to Pittodrie will be looking to add to that record. Aberdeen are unbeaten at home since the beginning of the season and will fight hard to defend that record so the Bhoys will need to maintain their recent momentum to take all three points. We look forward to them meeting the challenge with vigour. It’s a Cup semi-final against the Rangers and so it’s an opportunity for revenge. A lot has changed since last season and all the indications are that the Bhoys are a much stronger and more resilient group than when they took on these opponents at Hampden last season. Certainly, the Bhoys 5-1 hammering of our Glasgow opponents in the SPFL in September is a clear indicator that the gap between the two sides has widened. However, our opponents two recent victories over Partick Thistle and Inverness CT will have boosted their confidence that they can pull off an upset. Under Brendan Rodgers, Celtic have certainly pushed on since the September clash, moving four points clear at the top of the SPFL table and bagging their first point in this season’s Champions’ League. Indeed, the only drawback from a Celtic perspective is that the Cup semi-final comes just four days after their latest Champions’ League game but, coming close to his first silverware as Celtic boss, Brendan Rodgers will certainly have factored that into his preparations for Sunday. So, while Cup ties at Hampden can be unpredictable, we look forward to the Bhoys reasserting their dominance, emerging victorious and marching on to their first Cup final of the season. After their battling 3-3 draw against Manchester City on Match Day 2, the Bhoys face an even more crucial clash in terms of continuing their European campaign into the New Year when Borussia Monchengladbach are the visitors to Celtic Park. Celtic need to take four points from the two matches against our German opponents so securing a home win will be very important. One Bhoy who certainly put his stamp on the game against Manchester City is Moussa Dembele and he is quietly confident of another positive result on Wednesday night. He emphasises that “as a team we want to do well and we want to make a statement in the Champions League”. He points out that “ we managed to do that against Manchester City and now we have the opportunity to go again". As for his own part, he says “ I will prepare for Wednesday night's game the same way I would prepare for a game against St Johnstone”. He asserts that “in every game I want to give my all. - I always try to approach games properly and be ready for them and that isn't different whether it is the league or the Champions League”. Nir Bitton and Mikael Lustig, who missed to 2-0 victory over Motherwell at the weekend, are expected to be available again for the crunch tie. 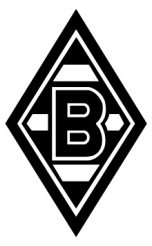 Borussia MG will be without defender Christensen, their player of the year last season, who was injured at the weekend. Their attacking options are also likely to be depleted as strikers Raffael, Drmic and Hazzard are all battling to be fit for Wednesday. Despite their injury problems, Borussia MG are favourites going into the game. This should suit the Bhoys, who, with the vociferous support of the Paradise faithful, will seek to upset the odds on the night. While the challenge is likely to be different to that presented by Manchester City, we look forward to an equally committed performance from Celtic. After all the intensity of the Bhoys’ impressive 3-3 draw against Manchester City in the Champions’ League on Wednesday, it’s back to domestic business on Saturday when Celtic travel to Dens Park to take on Dundee. Manager Brendan Rodgers has immediately shifted his focus to the challenge ahead on Saturday and expects his players also to have moved on from the intensity of Wednesday night. “The players are coming off such a high but if you want to have that winning mentality, it doesn’t matter where you go, you have to get the job done”, insists Rodgers. He affirms that “we put in a great performance in the game, it was a great night, but it is on to the next game now - the focus and intensity has to be away at Dundee”. 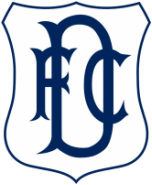 Under the stewardship of old Bhoy Paul Hartley, Dundee have made a slow start to the season. Having lost 3-1 away at Inverness CT last weekend, Dundee will be hoping to take advantage of any hangover from mid-week in the Celtic performance. With four more demanding games to look forward to in our Champions’ League group, every opportunity needs to be taken to put points on the board in the SPFL to keep Celtic well ahead of the chasing pack and allow full focus on our European challenge between now and December. Three points on Saturday will help that cause very nicely. It’s the leaders of the SPFL versus the leaders of the EPL on Wednesday when Manchester City are the visitors to Paradise on Day 2 of Champions’ League Group C matches. After their heavy defeat on Matchday 1 at Barcelona, the Bhoys know that on Wednesday, with a capacity crowd at Celtic Park behind them, they have an opportunity to demonstrate that they are worthy participants in this season’s Champions’ League. Manager Brendan Rodgers has promised a difference in approach to the game this time. “We won't be as passive as we were in the last game", he insists, pointing out that. "apart from Barcelona we have been really aggressive in our game". He continues that 'we know we have to bring our A game to have any chance and that is something hopefully we can do”. The manger is also in no doubt about the type of game the Bhoys need to play, saying “we know we have to make it as uncomfortable as we can for them”. He concludes by emphasising the importance of the fixture, asserting that '”as a coach and players these are the types of occasions and games that you look forward to and we look forward to it”. Of course, it will be a particularly special occasion for Kolo Touré and Scott Sinclair who, as former City players, will have the opportunity to put one over on their former employers. No doubt Patrick Roberts, on loan from Celtic, will also be keen to make a point to new City manager Pep Guardiola. Brendan Rodgers has confirmed that Craig Gordon will start in goal for Celtic and we all hope he can reproduce the excellent form he displayed in Europe during his first season at the club. City will be without Vincent Kompany and Kevin De Bruyne, who are injured. Wednesday will bring to an end the long wait for a Champions’ League match at Celtic Park. It will be a special night and the Celtic faithful will need to get fully behind their Bhoys in this particular battle of Britain. The domestic Cup action is coming fast this season and we are already at the quarter-finals stage of the League Cup with Celtic welcoming Alloa Athletic to Paradise on Wednesday as they seek to take another step towards the first silverware of the Brendan Rodgers era. Although this should be straightforward for the Bhoys, Alloa have made a positive start to the season. Having won eleven of their twelve matches so far this season on their way to topping the Scottish League One table and having already claimed the scalps of Inverness CT, Ross County and Raith Rovers in the Cup, they will come into this game with nothing to lose and can be expected to give it a go. With this being the Bhoys fourth match in two weeks, Brendan Rodgers may decide to rotate his squad. In that regard, Jojo Simunovic’s appearance as a substitute against Inverness CT on Sunday was a welcome return from injury. Leigh Griffiths remains ruled out, however, as he recovers from a hamstring injury. One Bhoy who is looking forward to the match particularly is Kieran Tierney who says that "the cup comes quick so if we win this we are in the semi-final stage - we just want to get out and do the job”. We look forward to the Bhoys marching on to the semi-final - but it is the Cup so anything can happen! Celtic travel to the Tulloch Caledonian Stadium on Sunday to take on Inverness Caledonian Thistle at the end of an eventful week which has shown that while we are very much on top in Scotland, there is still a major challenge ahead to be competitive at the top European level. Games against Inverness are often difficult encounters but this may be a good moment for the Bhoys to go there. The hosts have had a difficult start to the season, with just one win and one draw so far, leaving them close to the relegation zone. While they can be expected to raise their game for the visit of the champions, Celtic will certainly be looking t continue their unbeaten run in the SPFL this season so far. While Leigh Griffiths is well on the mend following his injury, it is unlikely he will be risked in this game, given the bigger challenges that lie ahead in the coming weeks. So Moussa Dembele, fresh from his hat-trick against the Rangers last week is likely to continue up-front. Beyond that, it remains to be seen what changes Brendan Rodgers decides to make for this, the third of three demanding games in eight days. So here’s hoping that the Bhoys get back to winning ways and maintain their dominance of the SPFL this season. It’s the group stage of the Champions’ League…so it must be Barcelona! Yet again, the Bhoys have been drawn in the same group as the Catalans and open their campaign at the Nou Camp. And, while a trip to the Nou Camp always poses a challenge of the highest order, Celtic teams have generally not allowed themselves to be overawed by the experience. This is because Celtic’s record against Barcelona stands up to scrutiny. In the twelve previous competitive meetings between the clubs in European competition, Celtic have won twice and drawn three times. Moreover, two of the defeats were by a single goal. After the positive start that Brendan Rodgers Bhoys have made to the season so far, there are reasons to look ahead to this opening clash of our Champions’ League campaign with cautious optimism. At the same time, the stark difference in the two teams recent European records cannot be ignored. While Barcelona have won their last eleven Champions’ League home games, Celtic have not won an away game in Europe in any competition in eight games. But this could be a good moment to take on Barca. There are rumours of conflict between manager Luis Enrique and some of his players and our opponents suffered a shock home defeat to newly promoted Alavès in the Spanish League at the weekend. Clearly, Celtic will go into the game as underdogs but we can look forward to a determined display by the Bhoys, befitting their status in Europe’s premier club competition. 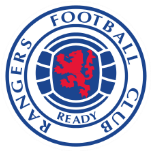 With the Rangers having made their way up through the lower divisions of the league, we look forward to the first encounter with them since they were promoted to the Premiership on Saturday, when a hot welcome awaits them at Celtic Park. Ahead of the game, Brendan Rodgers has signalled that he expects the Bhoys to approach this game in the same way as they have played under him since the beginning of the season. He says that "the idea is to go into the game with the positivity we have had, with the boldness that we have had in our game and the approach to the game, and obviously look to get three points, which would keep up our winning start." A key Bhoy in the manager’s set up has been Leigh Griffiths, who has aleady notched up seven goals this season. He is currently in a race to be fit, having withdrawn from the Scotland squad due to injury, and his availability could be crucial. Also hopeful of being available again after injury is Kieran Tierney. Manager and players are keenly aware of the importance of the game at this stage of the season and facing into our European campaign – a win on Saturday and we will go four points ahead of our Glasgow rivals with a game in hand. That would augur well for the rest of the season! After a tense period in the middle of the second half, the Bhoys showed their resilience on Wednesday night to achieve a memorable 5-2 victory in the first leg of the Champions’ League play-off against Hapoel Be’er Sheba. With the job more than half-way done, Celtic travel to Israel for the second leg of the play-off with the aim of securing a return to the top table of European football in the Champions’ League group stages. In the meantime, there is domestic business to be done when Celtic travel to McDiarmid Park to take on St. Johnstone in the SPFL. Brendan Rodgers has made clear that his focus is primarily on the next match. Nonetheless, with an eye to Tuesday evening’s crunch clash, he is likely to rotate his squad. So it is possible that Tom Rogic, Callum McGregor and Kolo Toure may be rested, with Moussa Debele, a fit-again Stuart Armstrong and Saidy Janko coming into the starting eleven. The Bhoys’ five goals on Wednesday night mean that Happoel Be’er Sehba will have to chase the game come Tuesay and this could give Celtic the opportunity to get the away goal that would certainly make the tie safe. Looking ahead to the match in Israel, Craig Gordon sounds a cautious but optimistic note, saying “they've shown their qualities as well and scored two goals away from home so we have to respect that they'll be good on their own patch and go over there and do a good defensive job”. But he is confident Celtic can prevail, observing that "we kept creating chances and we have great forward players always capable of scoring goals". It’s been too long since Celtic took their place in the Champions’ League draw and so we look forward to that being put to rights next Tuesday. After an efficient 2-1 victory over Hearts on Sunday to get their SPFL campaign off to a positive start, the Bhoys face a busy ten days, culminating in the crucial first-leg of the Champions’ League qualification play-off against Hapoel Be’er Sheva. It will be important for the Bhoys to seize the initiative in the home first leg of the Champions’ League play-off on 17 August before travelling to Israel six days later for the return fixture. Our own Israeli Bhoy, Nir Bitton emphasises that there will be no room for complacency against Happoel Be’er Sheva, who are well-organised. Nir emphaisises that “they have good players, good attackers and are a good defensive team as they don’t concede a lot and we need to be ready for that”. Looking back to the shock they pulled off in the previous round, he concludes that “if you beat Olympiakos you must be a good side”. And a match against Inter Milan in the International Champions’ Cup on Saturday will provide a valuable warm-up for the serious European action ahead. Of course, any game against Inter brings back thoughts of Celtic’s greatest hour in Lisbon in 1967. But first of all, it’s domestic Cup action when Motherwell are the visitors to Celtic Park on Wednesday of this week in the League Cup. Here’s hoping that the Bhoys can carry over the momentum from Sunday’s victory at Tynecastle and advance in the Cup. Celtic left it late to secure their place in the play-offs for the Champions’ League so the start of domestic competitive action this weekend will provide valuable opportunities to strengthen match fitness for the crucial European test that lies ahead. And on Sunday, the Bhoys travel to Tynecastle to take on Hearts in what is likely to be a highly competitive start to the new SPFL season. Hearts finished third last season following their promotion back to the SPFL. Unlike Celtic, the Jambos’ interest in Europe this season has already come to an end, having been knocked out in the second qualifying round for the Europa League. So their focus will be entirely on the domestic season as they bid to consolidate their position in the top half of the league. Given the bigger challenges ahead for Celtic, it will be important that the Bhoys put down a marker on Sunday to their domestic challengers with a strong performance that will hopefully yield the first three points of the new season. The Bhoys efforts to qualify for the Champions' League take them to Kazakhstan for the second time in three years when they take on Astana on Wednesday next. In terms of Champions' League qualification, this is certainly a difficult draw at this stage of the process. The match is likely to be played in a searing heat on a plastic surface in front of a packed, partisan crowd. The experience of Celtic players who played in this stadium against Karagandy in 2013 can only be a help in these circumstances. As we recall, the Bhoys were on a the wrong end of a 2-0 scoreline on that occasion and it was a nail-biting second leg before Celtic scored the goal that took them into the Champions' League in the dying minutes. On paper, Astana are stronger than Karagandy. They qualified for the Champions' League last season and were unbeaten at home throughout their campaign, securing draws against Benfica, Galatasaray and eventual finalists Atletico Madrid during the group stage. So it will take all the Bhoys' attacking prowess to break down their defence. Indeed, Astana coach Stoilov has already set out his stall in that regard, promising a strong defensive formation. Celtic have major injury problems in central defence ahead of the game in Kazakhstan. Jozo Simunovic, Dedryck Boyata and Kristoffer Ajer are all unavailable. New Bhoy Kolo Toure did not travel. In the circumstances, Efe Ambrose may get a recall and young Bhoy Eoghan O'Connell, who bagged the equaliser against Leicester at the weekend, is also in Brendan Rogers' plans. Another absentee will be Stefan Johansen, who was not considered for the trip for personal reasons. Astana's main problem ahead of the game is the absence of their captain, Nusserbayev. He is likely to be replaced by Canas, who previously played against Celtic for Karagandy. The main goalscoring threats are likely to come from Bosnian international Anicic and Ghana international Twumasi. This has all the makings of a match that will call for all the Bhoys' European pedigree and experience. Here's hoping for a positive result to take back to Celtic Park for the second leg next week.